With targeted A2P Messaging , you can get directly involved with your customers and build nurturing business relationships that last long. It is simple to put into action, and a timely application can ensure long-term brand loyalty. At Broadnet, we are consistently consulting our clients with better ways and strategies to string better results from A2P campaigns. Approximately over 5 billion people use SMS messaging globally. 98% of texts are marked read by users compared to a paltry 20% open rate of emails. With SMS, you can reach 84% of humans whenever, and wherever. 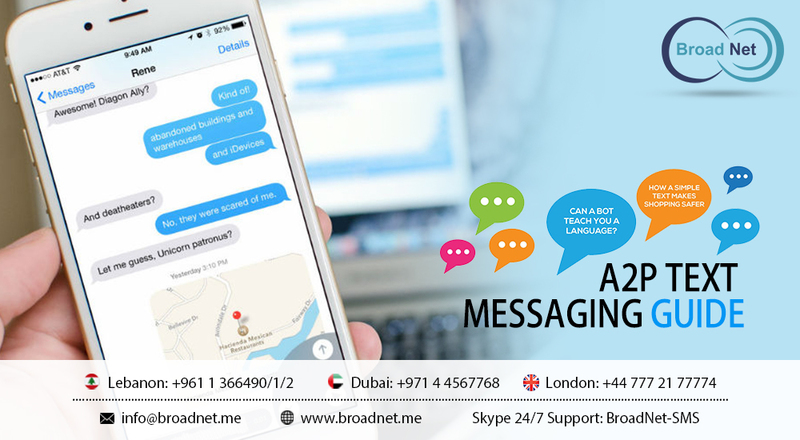 SMS provides you with a 24/7 channel to communicate with customers. This allows you to tap into their smallest of needs and solve them with business precision. The applications are diverse. For instance, with an automated SMS system, unique verification codes can be sent each time your customer logs into an app. One channel can assure safety, efficiency and security! An authorization from your customer to receive messages means a gesture of trust. It shouldn’t be broken through practices like spam. It is your responsibility to focus on their best interest. A2P communication ensures one thing your customers want: regular and relevant communication from your end as a brand. With us, you get an integrated framework that allows you to build personal relationships at the click of a button!